My recent computer meltdown had really highlighted few areas I need to get in order. Email turned out to be huge glaring hole in my setup that completely crashed from simply losing access to main Opera installation. And so I started to tweak. too damn important with numerous accounts and password retrieval options getting tied for what is essentially third party service that may crash some day. domain accounts – as much as I want with any name on them, POP3 only, terrible web interface (way more terrible than mentioned above). fast and flexible frontend with IMAP access and whatever else needed to get mail on the go as well as at home. I had chosen Gmail to handle backend and frontend with single umbrella domain address (contact@rarst.net). Set up and verified Gmail to use domain address for all outgoing mail. Set up main and extra (admin, wordpress) domain addresses and personal account to redirect everything to Gmail. Cleared out all POP3 accounts form Opera M2 and made IMAP connection to Gmail instead. 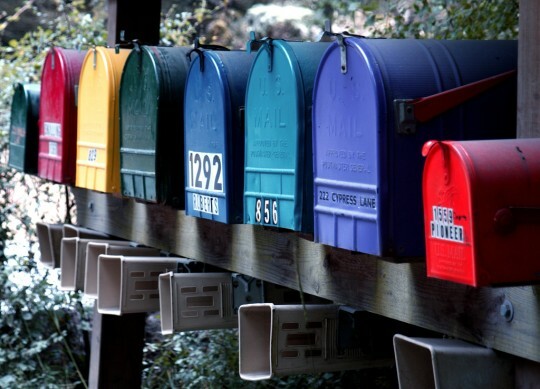 Now all mail flows to one place and whatever address it came to I always reply with umbrella address. I considered going for Google Apps to get rid of extra redirect but saw tweet from @BenBarden that it causes logging out issues with main Google account and something else. turns out all Google Talk chats are automatically cached in Gmail. Not sure I really need this but might be useful at times. Problem with email and free email services that at first you don’t plan your usage and suddenly it’ is years later and you have mess of issues to deal with. I do not care how many of those gigabytes of storage Gmail offers but it does offer most excellent technical features while allowing to use third party address. What kind of accounts and services you use for your email? Do they have POP3 access? Gmail can be configured to fetch mail via POP from other accounts as alternative to forwarding. I am not too fond of server-side spam filters, Pretty happy with Opera M2 native filter (bayesian). Anyway will have to live with Google one, I configured IMAP so I can keep an eye on spam folder, unlike web-interface that keeps it under wraps. They all have pop3, yes, so that would be the way of doing it… Importing old “already read” server side mail could be an issue here with some, tho. Indeed I am a heavy email (ab)user, with currenly around 18k emails in my inbox, and many more in my outbox :) I’ve checked the disk usage and this means around 3,6 gigs (i don’t get any “check this out” forwarded mails, which is always a nice thing), so I suppose with some spring cleaning it would be possible. Who knows, maybe this post will be the inspiration for me to do the migration! Also, imap access to all the mail accounts on my mobile would be cool. Bayesian filter is cool, yes, but in my experience gmail’s one is also sweet. Well, I doubt it will be this smooth with your amount of mail – but I simply dragged my messages from old POP3 mailboxes to new IMAP one and Opera transferred all of them to Gmail. I was not even expecting this to work, just dragged on instinct and Opera did the rest.